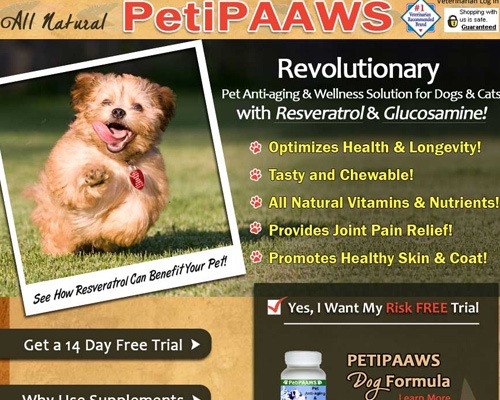 PetiPaaws is a new product that contains resveratrol which is used to help humans to live longer fuller lives. 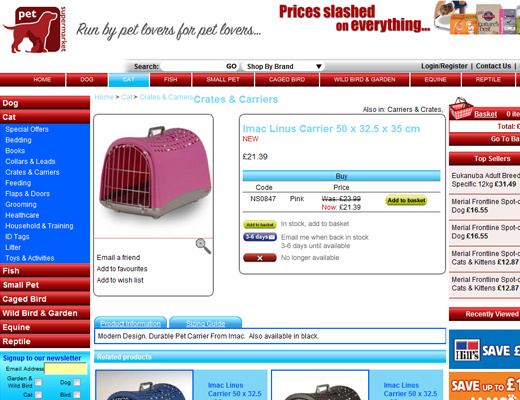 It stands to reason that it might be useful to your pet to give them an extra few years of good health. Resveratrol is the substance that is found in red wine and in the skin of grapes that is being touted as the best thing to come along since peanut butter, but how can it help your pet? The Veterinary research behind PetPaaws is extensive. It has been proven in clinical trials according to the manufacturers, to increase the health of your dog or cat by as much as thirty percent, which may translate into 2 to four years more of a healthy active lifespan for your dog. That means that you’re going to spend more healthy active time with your dog or cat. Resveratrol has proven to be helpful to humans in many ways. Resveratrol for your pet has a combination of proven ingredients that are synergistic in nature. Each of them are naturally occurring enzymes or substances that will cause good healthy effects for your pet without unnatural chemicals or creating undue side effects in your pet. The Ingredients in Petipaaws are Glucosamine, Vitamins A, C and E, Calcium, Zinc, Potassium, and Resveratrol among others.These are all substances, with the exception of the resveratrol, that your pet needs so at the least, the vitamins and minerals are going to be helpful to your pets teeth, bones, blood and heart. It was designed to lower the signs of aging that may be taking place in your pet, as well as helping him or her to maintain a healthy coat, clear eyes, a naturally more active lifestyle and may increase the years that your pet has to live. Petipaaws company states that they take great pride in their product and will fully refund your money if you are not satisfied with its action or benefits on your pet. PetiPaaws company is a company of pet lovers who designed the product in order to assure that your pet was more active more healthy and more alert for a much longer time. The company also states that they take a vast amount of pride in their customer service and will be glad to assist you by answering any questions you may have about the purity of their products as well as their makeup. The company can be reached for comment or questions via postal mail, email or by telephone for your support and concerns. Customer Service representatives are available Monday – Friday 9am – 6pm Eastern time.